Announcing the Release of the Solomon Exam Prep Android Mobile App! 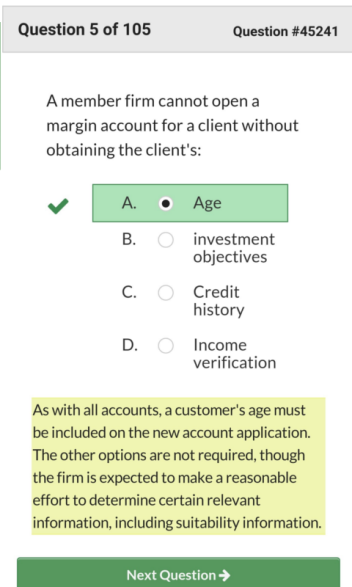 Do you need to take a securities licensing exam? Do you wish you had more time to study? 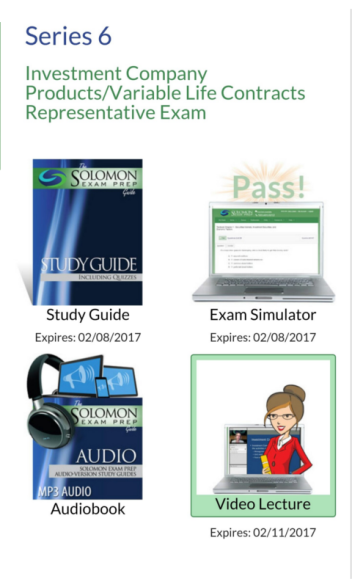 With the release of the Solomon Exam Prep Android app, you have full mobile access to your Solomon study materials at the click of a button. 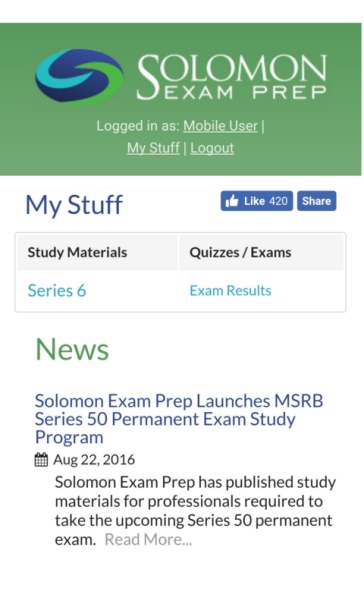 Easier and quicker—Just click the Solomon Exam Prep icon on your phone to be taken directly to your account. Access all your materials—The app provides full site functionality and access to your study guide, exam simulator, audiobook, and video lecture. No typing on tiny keyboards—Don’t worry about typing in a web address! Our app will take you right where you need to be. Move into the future of mobile securities exam prep with the Solomon Exam Prep app! Solomon Exam Prep has helped thousands of financial professionals pass their FINRA, NASAA, and MSRB licensing exams, including the Series 6, Series 7, Series 24, Series 26, Series 27, Series 28, Series 50, Series 51, Series 52, Series 53, Series 62, Series 63, Series 65, Series 66, Series 79, Series 82, and the Series 99. Author ProfessorPosted on September 8, 2016 January 9, 2019 Categories android-apps, Exam Study Guide, FINRA, MSRB, NASAA, Series 24, Series 26, Series 27, Series 28, Series 50, Series 51, Series 52, Series 53, Series 55, Series 56, Series 57, Series 6, Series 62, Series 63, Series 65, Series 66, Series 7, Series 79, Series 82, Series 99Tags mobile app2 Comments on Announcing the Release of the Solomon Exam Prep Android Mobile App!